Property 25: Light, bright apartment 2 minutes from beach. Property 31: Want to ESCAPE and RELAX by the sea? Property 34: Salty Sand & Pepper !!! 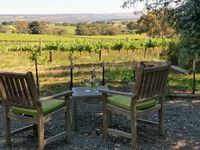 Property 49: Tintookie Vineyard- Fabulous views & lots to do. We thoroughly enjoyed our stay in Hallett Cove! Donna was very responsive when we had a few minor issues that were beyond anyone's control. The house is very well equipped and quite lovely. And those views!